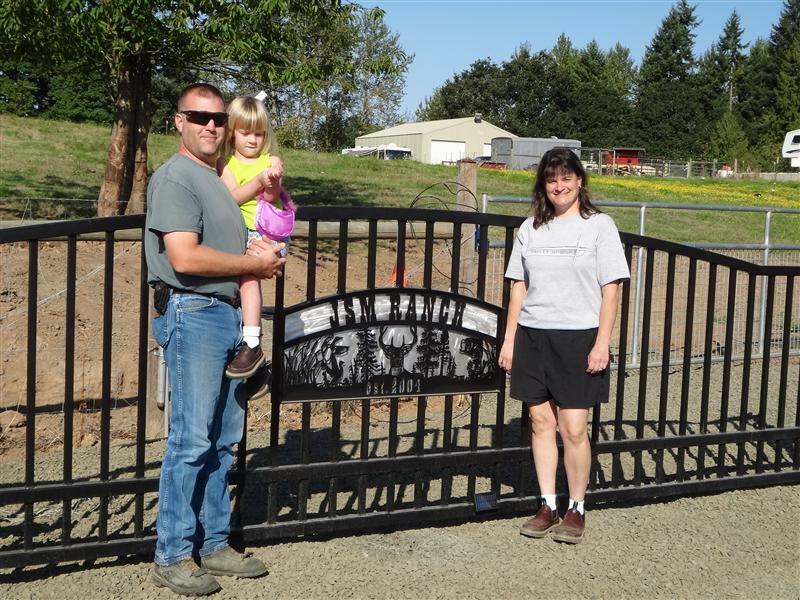 Molalla-area landowners Jim and Mary Toops were recognized by the Oregon Association of Conservation Districts (OACD) as their statewide Cooperator of the Year in the less-than-50-acres category. The award recognizes individuals for their exemplary support of the conservation goal of the organization, to promote the conservation and wise use of Oregon’s natural resources. Jim and Mary accepted their honor this week in Eugene at the OACD annual meeting and conference. The Toops purchased their property along the Molalla River and Woodcock Creek in 2004, with a lofty vision for the fifteen acres of pasture that was then almost entirely dominated by blackberries and scotch broom. Their goal was to raise a few head of cattle and bring the property back to it’s natural beauty. Along the way, Jim and Mary received assistance from the USDA Natural Resources Conservation Service and the Clackamas County Soil and Water Conservation District. These organizations assisted in riparian restoration, habitat development, rotational grazing, invasive weed control, fencing and mud management. Follow-up visits to evaluate the riparian buffer plantings have revealed proof of the hard work and extra care this couple give to their projects. Almost all of the trees they planted survived, and wildlife habitat boxes — including those for birds, mason bees, and bats — were all in use. Our planners have enjoyed working with these cooperators, and we are very proud their hard work was recognized by the Oregon Association of Conservation Districts for their caring stewardship of natural resources. Our warm congratulations go to Jim and Mary Toops!